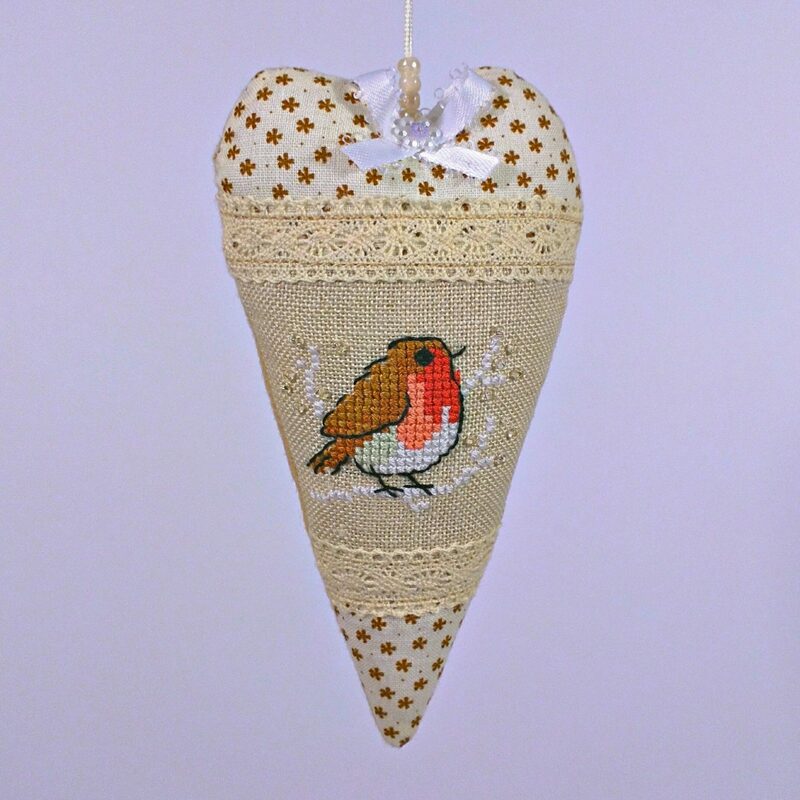 This lovely Christmas heart is made from felt and cotton: the back side of it the ornament is made from felt of dark beige color and the front side is made from light beige cotton canvas. A pattern depicting a sitting redbird is cross stitched on the canvas. The heart is decorated with the ribbon and pearls. This Christmas ornament is handmade by me. I took utmost care when designing and creating this heart. I am positive you will love the way the heart looks and made.